Larry King said Thursday that his talk show will resume this summer on the new digital network Ora.TV, earlier than he or the network had anticipated. The show “Larry King Now” will mark the startup of the network financed by Mexican billionaire Carlos Slim. Executives had originally intended to launch in the fall. But King said he wanted to “get into the political mix.” The Democratic and Republican national conventions to name presidential nominees are this summer. 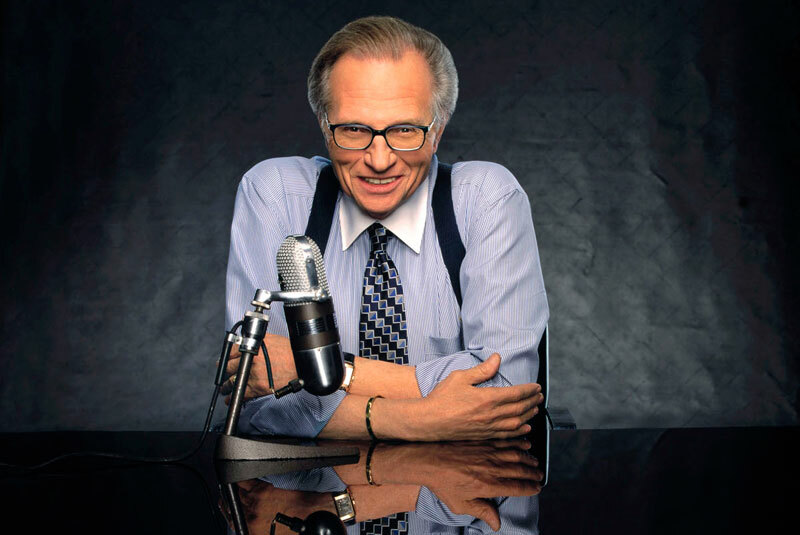 King said he expected the format of his show to be similar to “Larry King Live,” which aired on CNN in prime time for 25 years, and he’s retained much of his old production staff. The new show will generally be 30 minutes in length, instead of an hour, although there will be flexibility to go shorter or longer depending on who’s being interviewed, said Jon Housman, Ora.TV’s CEO. Fresh episodes will be posted online about 5 or 6 p.m., as opposed to the 9 p.m. start time of King’s TV show, although viewers will be able to watch it whenever they want. King, who’s 78, said he misses the nightly show. “The night I missed it the most, when it really hit me, was the night Osama bin Laden was killed,” he said, adding his show would have spent a week on the topic. Ora.TV said it expects King’s show to set the tone for a network that will largely consist of talk shows. It will be available in multiple ways online, through streaming and apps, and at several locations beyond Ora.TV’s own website. Housman said he was not ready Thursday to announce any specific distribution deals, but said it will be made clear before “Larry King Now” starts the various ways it will be available. Ora.TV is laying the groundwork for King’s return through efforts to make him available in ventures where younger people who might be more inclined to watch a digital network will see him. For instance, King has a new skit that will be made available on the website Funny or Die next week. King wouldn’t pinpoint a guest for the first night of his new show but said he’s shooting high — aiming for President Barack Obama or Mitt Romney. He said he still expects to book quality guests because of his long relationships in the business, even though a digital network has less visibility than traditional TV. “It’s not Harvey Glick saying ‘please come on the Harvey Glick show,’” he said.